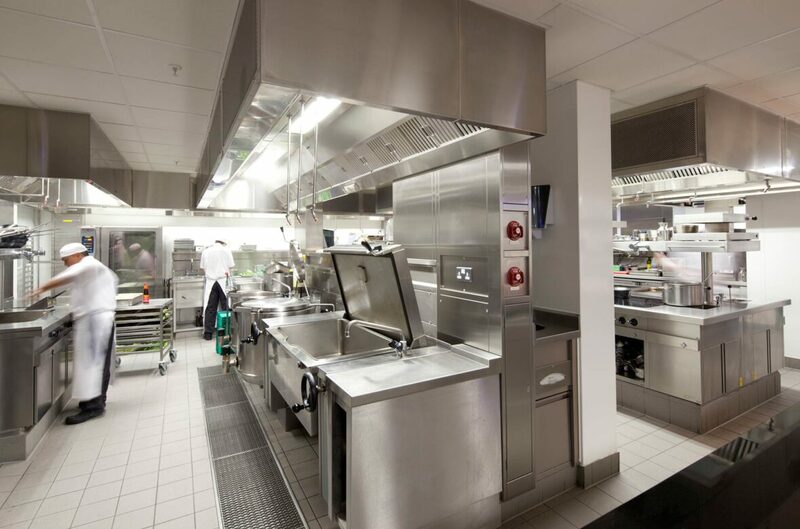 IFT installed the self levelling screeds and Ucrete polyurethane resin flooring to the kitchens within The Sheraton Grand Hotel, Edinburgh. 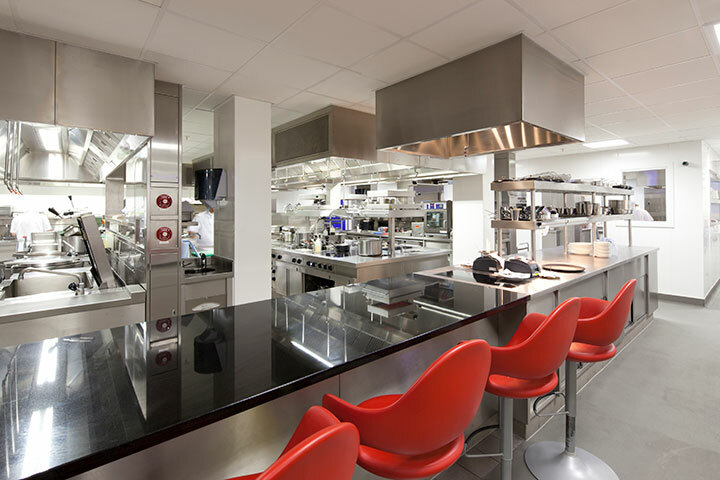 This 5 star hotel within the shadow of Edinburgh Castle underwent a complete renovation in 2012 with the kitchen element under the control of Thomas Johnstone Ltd. This system was chosen as it is suitable for applications in wet and dry process environments. The system offers a uniformity of surface texture with enhanced aesthetics, so providing a safe and attractive working environment. 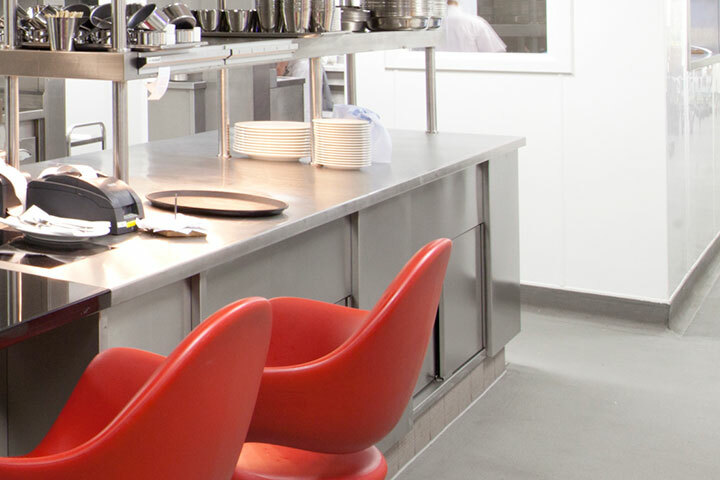 It is dense and impervious, providing the ideal floor finish for applications in the food and beverage sectors. It is also ideal for pharmaceutical and chemical industries and wherever a robust long lived floor is required. Our screeding expertise provided the ideal surface for the installation of the finished floor. A seamless floor was paramount for the kitchen areas and we provided this through the installation of the cove element. 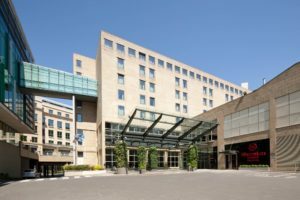 The tight timescales and logistics of working within a city centre contract proved challenging but these were overcome to the delight of Thomas Johnstone Ltd and the hotel. I am writing to compliment IFT on the standard of workmanship achieved in what was a very demanding timescale at our Sheraton Hotel project in Edinburgh. The attitude of your site team was excellent and it was clear they took a great deal of pride in their work. 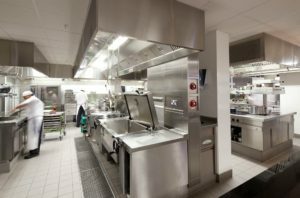 Both Thomas Johnstone Ltd and the Sheraton operations team themselves are delighted with the kitchen flooring installation.